Romantic scenes that never happen: your eyes meet. Your heart flutters. This person is the one—youre sure of it, because you're convinced they'll live to at least 95 years old. Its what youve always dreamed of. Lifespan doesn't usually make an appearance on peoples lists of what theyre looking for in a partner. But, according to a paper published this week in the journal Genetics, longevity correlates strongly through marriage relationships, meaning that people are pretty good at picking partners who live similar lifespans. Failing to account for that behavior has meant that estimates of the genetic contribution to longevity have been substantially overinflated. Nobody is choosing partners based on how long theyll live. As the authors of the paper sagely note, lifespan “cannot be observed until death, at which point the opportunity to mate has ended.” But as anyone whos ever dated can tell you, people are likely to marry their match (or close to it) in characteristics like wealth and education, which play an obvious role in longevity. J. Graham Ruby, the lead author on the paper, works for Calico Life Sciences, a research and development company funded by Alphabet. Calico's “mission is to harness advanced technologies to increase our understanding of the biology that controls lifespan.” So Ruby used massive amounts of data from Ancestry.com to investigate the role of genes in the lifespans of more than 400,000 people born in the 1800s and early 20th century. When it comes to complex traits like lifespan, huge numbers of genes will play a role, and so will myriad environmental factors, so the role of genes is described in terms of how much variability it can explain. Estimates of the genetic influence have ranged around 15 to 30 percent, meaning that up to 30 percent of the variation you see in human lifespan can be explained by genetic differences among people. Estimates vary partly because of differences in data sources and calculation methods and partly because the statistic wont be the same across different populations: countries differ in the most common causes of death, the environmental risk factors faced by people, and how much different people are exposed to the same risk factors. For example, in an impoverished country with a high risk of infectious disease and death in childbirth, the few wealthy citizens can avoid these risks through expensive healthcare. That will look very different from a wealthy, egalitarian country where cancer is one of the biggest causes of death. The calculations are complicated, but the thinking behind them is simple: when genes play a role in a trait, you should be pretty similar to your siblings and parents, a little less similar to your cousins, less similar to your second cousins, and so on. Ruby and his colleagues used the family tree data to explore whether lifespans were similar between more closely and distantly related relatives. This produced heritability estimates similar to those calculated before: siblings lifespans were highly correlated, first cousins a bit less correlated, and so on. But spouses lifespans were correlated, too. That could be easily explained by spouses sharing the same household and lifestyle: eating the same healthy diet or puffing on cigarettes together. But the researchers noticed something odd: the lifespans of other relatives related only by marriage also correlated. That cant be explained by genes, and it cant be explained by shared environment. So Ruby and his colleagues started investigating the lifespans of in-laws. They looked at siblings-in-law, and first-cousins-in-law, and then further afield, at relationships like “the sibling of a siblings spouse" (your brothers wifes sister) and "the spouse of a spouses sibling” (your husbands sisters husband). Even at these distant relationships, lifespans were correlated—if your spouses siblings spouse lived to a ripe old age, that means youre a bit more likely to do the same. Whats going on here is assortative mating: people are likely to marry people who match them on certain characteristics, like education and wealth, and those traits are in turn related to longevity. That high level of assortative mating was massively inflating the heritability estimate. Once they took this into account, Ruby and his colleagues came up with a much lower figure of seven-percent genetic influence—at most. That seven percent includes both genetics and also non-genetic inherited traits, like the healthy or unhealthy habits parents pass on to their children. Those two things can be tricky to separate, but it's fair to assume that the contribution of genetics alone is even lower. It's an estimate that can change, and probably already has, because this study was based on a historical dataset of people born into very different health landscapes and very different marriage practices. 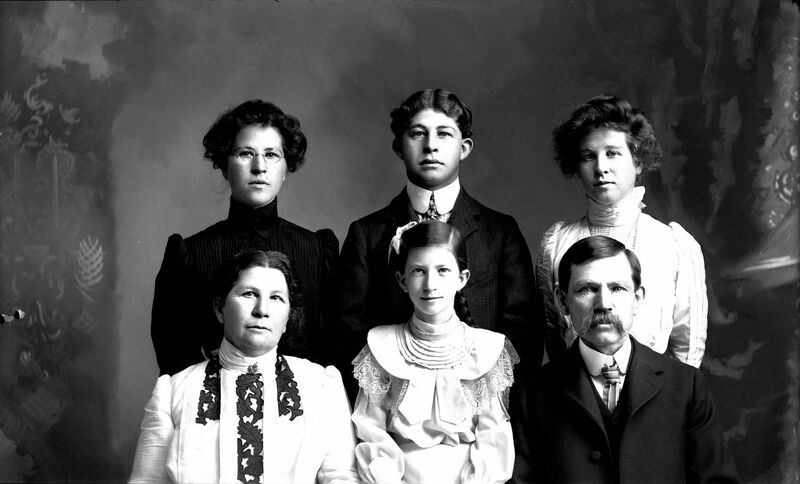 The Ancestry.com database is also overwhelmingly populated by details of American families with European heritage, which limits generalization to other groups, countries, cultures, and times. But its an essential observation for thinking about heritability statistics in general, because assortative mating covers all kinds of characteristics. Theres also negative assortative mating, also known as “opposites attract,” to factor in. This might seem like a disappointing result for a company interested in the “biology that controls lifespan.” But of course, the processes of aging and sickness are still biological, even if the causes of those processes lie less in our genes than previously thought. In fact, investigating what makes up the vast bulk of differences in people's life spans might be precisely what yields the most exciting answers. Genetics, 2018. DOI: 10.1534/genetics.118.301613 (About DOIs). Overwatch Halloween 2018: New Skins! New Mode? When does Halloween Terror 2018 start? Asked for a response to the shooting at a western Kentucky high school that killed two students and .. The European Commission may announce its blockbuster antitrust decision against Googles Android mobi..